It’s not hyperbole when I say that this year might feature the most wide-open Stanley Cup Playoffs in recent memory. Anybody can win the NHL postseason tournament, similar to an audience member securing a free car on an episode of Oprah. But then again, only one team will win. A wide open race is still just that, a race. One team will reach hockey immortality, while the others will all falter over the course of a grueling four round journey. The odds are one in 16 once the tournament begins, not 50/50 like a Maury Show paternity test. There’s only one father each NHL season. Boston Bruins – Poor defense. Poor defense. You’ve guessed it. Poor defense. The Bruins traded away Dougie Hamilton, watched Zdeno Chara and company grow old, and are on the verge of missing the playoffs for the second consecutive season as a result. It’s pretty remarkable that Brad Marchand’s career year along with Patrice Bergeron’s constantly underrated play has barely kept this team afloat. I actually give goalie Tuukka Rask a ton of credit for dealing with as many odd-man rushes as he has this year without having a complete nervous breakdown. 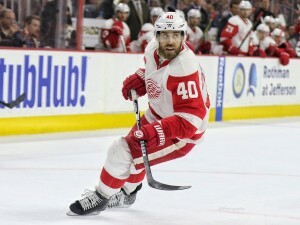 Detroit Red Wings – Is “too much Ben-Gay in the locker room” a valid response? I have immense respect for this veteran core of players in hockey town, but the Red Wings are really showing their advanced age. Even the youthful Dylan Larkin can’t bring enough speed to their offensive attack, and several major injuries have proven to be nearly fatal to their postseason chances. The Red Wings’ 24 season playoff appearance streak outlasted all other major sports teams and the Undertaker at WrestleMania. All good things come to an end, and this might be the year that the streak ends in Detroit. Minnesota Wild – The streakiest team in the NHL, and I don’t say that as a compliment. The Wild have spent the last 18 months or so teetering the line of Cup contender and NHL bottom feeder on a weekly basis. One night they’re Sylvester Stallone, the next night they’re Frank Stallone (that should be easy to understand). With Devan Dubnyk no longer playing out of his mind, I can’t see the Wild putting together enough consistent hockey for a solid month and a half. New York Islanders – Travis Hamonic’s injury is a shot in the gut for a team in need of a steadying presence on the blue line. But look at how this team has played the last month against fellow playoff teams. Yikes. Even if the Isles of Brooklyn make it to the postseason, they have not proven they can seriously compete with the other teams that will join them. 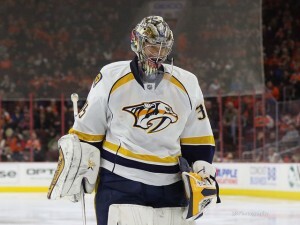 Nashville Predators – I never thought I’d see the day when goaltending could pose problems for hockey’s country team. Pekka Rinne, once in the discussion for best goalie in the game, now owns a save percentage outside of the top 30 (.908). The Predators have been the hottest team in hockey this last month, but will need their netminder to find his mojo ASAP. Could this be an indirect effect of trading defense (Seth Jones) for offense (Ryan Johansen)? We shall see. Philadelphia Flyers – Surprisingly, not goaltending. The Steve Mason/Michal Neuvirth combo has gotten the job done, but the defensive core is a little thin once you get past the Shayne Gostisbehere magic. A lack of scoring depth is what will ultimately doom this team (whether it’s in the regular season or the first round against the shutdown artists in D.C.). San Jose Sharks – Apparently “habitual choking” isn’t an advanced hockey statistic. But while I do like the direction the Sharks are heading, the roster does not have the overall depth to make the contender list. Once you get past the Joe Pavelski’s and Brett Burns’ in San Jose, you become more hard pressed to find players with meaningful postseason experience who are trustworthy. And speaking of trust, this is Martin Jones’ first time in the playoff spotlight. His potential is clearly evident, but with no prior experience there will most likely be a learning curve to deal with. And now, the real contenders. Let’s start by giving credit where it is undoubtedly due. Anaheim didn’t panic when they started out the season agonizingly slow, and elected to keep their core (and head coach) intact. The team responded to adversity, realized how insanely talented it was, and got back to bullying teams during the hottest stretch of any NHL club this season (12-1-1 during the month of February). 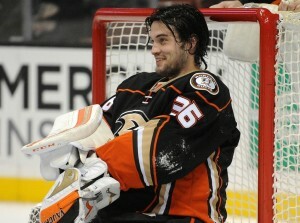 Yet the same uncertainty is facing the Ducks in between the pipes come playoff time. Frederik Andersen is out with a concussion, but his poor play prior to that all but assured that John Gibson would be the guy in Anaheim’s net for big games. Gibson, the NHL’s accidental rookie, has aced his entrance exam with a 2.04 goals against average in 37 starts (second behind only the NHL’s certain Vezina trophy winner in Braden Holtby). Gibson never settled into this game, had trouble tracking the puck, and got lit up like a Christmas tree in the biggest game of his life. The young goaltender has come into this season with a sharper focus, and a mask that would make Billy Madison proud. There is definitely a chance that he improves this go-round, but until he performs well at the highest level, you just never know. The same can be said about his teammates. Last year they gagged in a seventh game against the Blackhawks in the Western Conference Final, and the past three seasons the Ducks have been eliminated in deciding games, on their home ice. Anaheim has the perfect combination of skill and grit, but their window may be closing faster than they anticipated. Ryan Getzlaf and Corey Perry won’t be around forever, and the former as already showed some serious signs of decline. I realize that doubting the Chicago Blackhawks is like filming a teammate talk about his relationship, but even D’Angelo Russell would understand my concerns with the Blackhawks’ quest for a fourth Cup in six seasons (now Nick Young is another story entirely). Chicago has Patrick Kane, a championship core, some new exciting pieces, and Patrick Kane a second time to ensure that they remain a tough out in the playoffs. 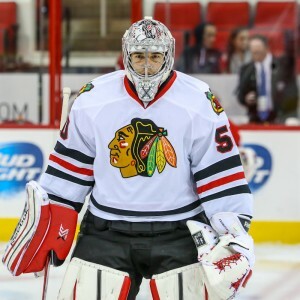 Corey Crawford played admirably down the stretch during the championship runs of 2013 and 2015, but is dealing with a head issue that could limit any and all effectiveness. The Blackhawks need some stability in net, because even their great playmakers will not be able to score four plus goals every game. In a loaded Western Conference, one break (or in this case head) could seal any club’s entire fate. The other issue is the mental strain that deep runs in the postseason have put on this franchise. As the premiere team in the NHL, Chicago has needed to be at the apex of their game more than anyone else. Every team can’t stand them, loathes their success, and wants nothing more than to dethrone the champs. Eventually the motivation to bring it each and every night fades away, and the same work ethic that achieved glory is replaced by elements of laziness. That’s why no team has won back-to-back Stanley Cups since the Red Wings of the late 1990s, and it partially explains mental gaffes such as Duncan Keith wielding his stick like he’s Link in the Legend of Zelda. The Blackhawks might not have the drive to repeat. It’s a pretty simple pattern to follow. The Dallas Stars are really good at scoring goals. Coincidentally, the Dallas Stars are not very good at stopping other teams from doing the same. The Stars score a league-best 3.24 goals per game, and have an offense that instills fear every single night. But if you take a look at the stats for NHL goaltenders, you’ll be hard pressed to find a netminder with a residence in the state of Texas. Antti Niemi and Kari Lehtonen are in the midst of a goalie timeshare, but neither has a goals against average or save percentage in the top 30 of their position. I’m not saying they should strap the shooter tutor on and play with six skaters, but the numbers don’t look good. The goal was weak, players were out of position, and the effort just wasn’t there. I know there’s a reason that Dallas is currently in the running for the top seed in their conference, but teams that turn games into track meets typically don’t win Stanley Cups. Scoring is much harder to come by in the playoffs. Unless one of their netminders finds a way to enter the realm of mediocrity, the Stars could find themselves staring right in the face of disappointment this Spring (we’ll keep the Blackhawks highlights to a minimum going forward). This is a two-parter for the young souls of Sunrise, Florida, who I am very happy have made it this long in life the chance to finally see a Stanley Cup contender. 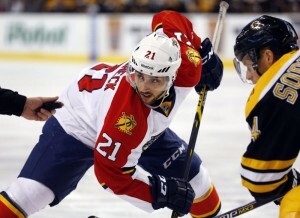 The Panthers feature a balanced attack that relies on the sum of their above average parts in the absence of superstars. Well Vincent Trocheck’s injury and the uncertain availability of the 25-goal scorer is a costly blow. It’s also safe to assume that Jaromir Jagr, at the tender age of 44, might not be able to score at the same pace in the NHL playoffs. There are no extended breaks, and no opportunities to sit the old guy in order to keep him fresh down the road. Jagr amazingly has a team-high 62 points, and will be needed to lead his squad every night. I’m just uncertain if he still has that capability. The true wildcard on this team has always been Roberto Luongo. At 37 he is still a highly capable goalie with world class instincts, but can he really be trusted in a big game? His playoff highlight reel features some of the best saves and biggest blunders you’ll ever see at a hockey rink. The fact that his goals against average is top 10 while his save percentage barely cracks the top 20 among league counterparts is a testament to the Panthers defensive core. But it also can be viewed as a troubling sign. Bring on playoff Roberto. It’s a unique year for this current batch of Kings, who are once again ready to contend for a Stanley Cup. While I believe this team is just as dangerous as prior L.A. squads, it has more to do with their revamped offense than their defensive play. The Kings blue line was a mess at the beginning of the season, and has since been addressed by the additions of the solid yet misunderstood Luke Schenn, and the veteran presence of Rob Scuderi. Defensively this team has improved, but have they improved enough to stop the spectacular offenses they will face in the playoffs? Dallas, Chicago, even Anaheim and Washington (should the Kings make it that far) pose real matchup problems when they have the puck in the L.A. defensive zone, and could do serious damage on the scoreboard. That is why I think the NHL is gearing up for what could be a defining postseason for Jonathan Quick. Arguably the best American born goaltender of all-time, Quick has been playing well despite more defensive breakdowns than he’s used to. If he can return to prominence and stifle foes through the month of June, the Kings might just be able to add to their collection of banners. A third Cup would cement Quick’s place among all goalie, not just those from the United States. If he stumbles along with his defensive core, there will be no lengthy playoff run, no magic in the Staple Center, and no more parties in L.A. (scary). 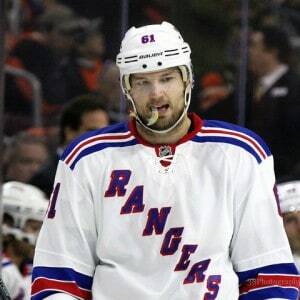 The Rangers are still a popular sleeper pick in the Eastern Conference, and for very legitimate reasons. But they will only go as far as their offense takes them. 79th to 3rd in points. In less than four months That’s inconceivable. My fear for this Pens team is not whether Crosby can keep up his production, but rather if his teammates on forward lines 2-4 can elevate their game when their captain is targeted by opponents. Every visiting locker room will have the same gameplan; shut down #87. It will be up to players like Phil Kessel, Nick Bonino, and Matt Cullen to give their leader some space and make foes respect their own offensive abilities. If Evgeni Malkin is able to return from his upper body injury, he’s an added bonus at this point. It’s scary to think what this team would become with another elite offensive threat in their lineup. Pittsburgh has a wildcard in goal; one that’s capable of playing at both the highest and lowest levels imaginable. Buckle up for the return of Fleury in the postseason. I swear I’m not trying to antagonize the fine people of St. Louis by listing three potential flaws, but each is worth noting for a franchise that has had no trouble playing consistent regular season hockey. Unfortunately, all Blues fans remember is their well-documented postseason failures, which has become an annual occurrence in the month of April. The first problem is the one that’s existed the longest: consistent goal scoring. For whatever reason, St. Louis just can’t seem to get the most out of their forwards when the games really matter. Vladamir Tarasenko is a beast, Jaden Schwartz has returned from injury as a man possessed, and David Backes continues to play ruggedly effective hockey. But what’s changed from last year, when the same could be said of the Blues regular season offense? In the St. Louis net, the Blues will have to decide between two talented goalies. Each has played very well in the regular season, but neither has a postseason track record to be excited about (sensing a theme here in STL?). The eye test says it will be Brian Elliott starting over Jake Allen, but don’t be surprised if we see both before the Blues season comes to an end. Trying to understand why this club continues to underperform in the playoffs is not easy, but each year it appears they are running themselves thin in the regular season. 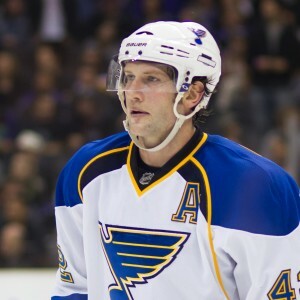 Head coach Ken Hitchcock deploys a style that is so strenuous and so physically challenging, that the Blues become a nightmare to play against. But it may also make them a nightmare to play for, and can inflict the same level of physical pain on his own roster as it does for opponents. Maybe this is the year things change, and Hitchcock is able to reverse the downward trend of Blues’ seasons past. But if that is not the case, don’t expect to see Hitchcock or several aging members of this core in St. Louis much longer. I was very tempted to bump this team from the contender pile when I heard the terrible news about Steven Stamkos (he was diagnosed with a blood clot and is out 1-3 months). Nobody wants to see any player have their livelihood jeopardized, and the entire hockey community is hoping that #91 bounces back better than ever. But that is a huge loss for a team just beginning to peak, and one that will undoubtedly need to hit the drawing board without their top sniper on deck. The Bolts will need to rely heavily on the defense and Ben Bishop’s giant leg pads, because the offense will suffer. There’s also the matter of the power play. The Lightning currently have the fourth worst power play in the NHL (at an effectiveness of 16.0%), the worst mark for a playoff caliber club. More troubling, those numbers don’t take into account the absence of Stamkos, who always had the ability to fire a howitzer when nothing else was developing. Tampa Bay struggles to move the puck with an extra man, a far cry from their play a year ago. 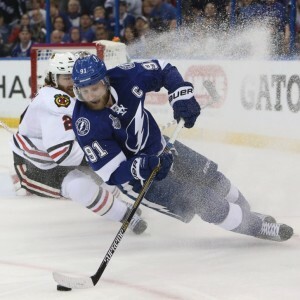 The Stamkos injury may have been the straw that broke the camel’s back, but this team (and specifically Tyler Johnson) has had trouble regaining a championship-level form all along. Some of these flaws are harder to point out than others. You’d have to be a fool or an eternal pessimist to dispatch the Capitals as non-factors, giving how they have owned the NHL with no interruption during their 2015-16 campaign. The hockey heroes of D.C. comfortably clinched the President’s trophy, have yielded an NHL best 182 goals against, and are 6-3-1 in their last ten games, hardly a team that has mailed it in until the playoffs begin. The Capitals are really good, but are they this good? Can they continue to bludgeon teams to death in all three zones? Will Holtby remain the best goalie in the NHL by a mile in a playoff setting? Can Washington’s newfound scoring depth keep up their consistent support? And will a young blue line led by John Carlson preserve leads with ease? These are a lot of questions, and it may seem like I’m nitpicking, but there’s a reason why the President’s trophy winner does not always win the Stanley Cup. Nobody is debating the Capitals genuine formidability, but the games will always tighten up in the postseason. Scouting reports become more detailed, and weaknesses can be identified and exploited. The Capitals have been used to winning this season, and will eventually be put into a situation where that is not the case. How will they respond? 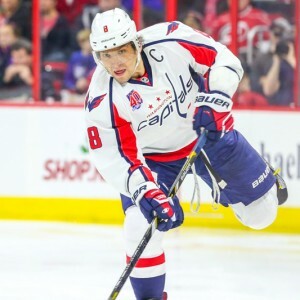 That will be the difference for a team that has not made a single Conference Final during Alex Ovechkin’s remarkable tenure in Washington D.C.. Cheer up hockey fans, each of these teams has given themselves a chance to go the distance and hoist Lord Stanley’s trophy. I’m just the voice of reason, reminding everyone that no team is safe from despair in the game of hockey. It’s why we can’t get enough of the NHL playoffs. Anything can, and will happen. I just thought you’d like to be prepared.